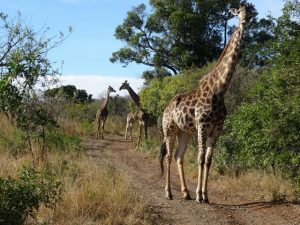 Going on an African venture is something that is a once in a lifetime experience for a lot of people. This is the reason why the correct clothing is so important. Everyone has different tastes and depending on what type of trip you’re going on, your kit selection may also vary. This is the reason why instead of giving you a packing list, we decided to answer some of the most common questions on what to wear in on tour. While many people assume that a short-sleeved shirt or a sleeveless top would be the best thing to wear because of the warm weather, wearing a long-sleeved, loose-fitting top made of breathable material instead would be the most sensible thing to do. The long sleeves will protect your arms from the sun in the day and from insect bites at night. If you have sensitive skin and easily gets sunburned, long sleeves will definitely be the best choice. Make sure the fabric is made of light airy material. If the weather is too warm, you can always roll up the sleeves, or layer it over a shirt in case you need more warmth. Just like long-sleeved tops, long trousers would be a great choice especially if you are taking hiking in the bush. Long trousers will protect your legs not only from insects, but also from bushes and shrubs during your walking tours. 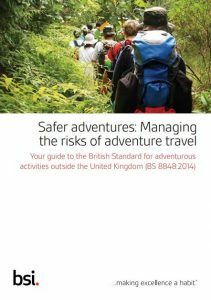 If you’re wearing trousers, you wouldn’t need to worry much about scratching your legs from thorns or rocks when hiking or climbing. Trousers also protect your legs from mosquito bites in the evening and the hot African sun during the day. Try to avoid trousers with Velcro that can be noisy and may disturb wildlife. Also avoid trousers with loops or different fastenings on the pockets which might get caught in the bushes. 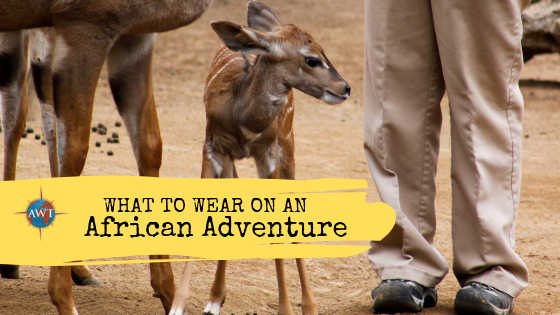 You may have noticed that people going on safaris wear light, neutral or natural colours. This is because it is important to blend into the environment as much as possible. Plain clothes in colours like khaki, grey, beige, and off-white are recommended. Wearing white is not recommended as your clothes can get dusty and dirty easily during the day and at night time, white attracts insects. Bright, glaring colours may cause wildlife to move away from you unnecessarily. 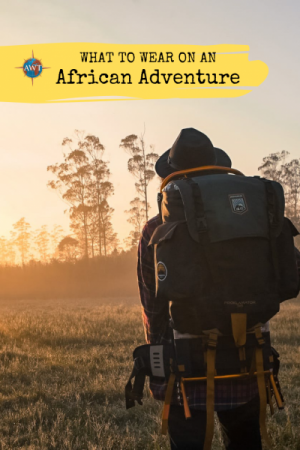 Waterproof hiking boots are your best bet when going on tour in Africa. While you might think trainers would do the trick, there’s a high possibility that they won’t be able to survive the elements unless they are sturdy trail running shoes. More importantly, quality hiking boots will protect your feet wherever the journey takes you and a good ankle support will help over rough terrain. Make sure you get a comfortable, well-fitting pair because you will be spending a lot of hours in these walking boots. In the evening, a good pair of trainers are fine and very comfortable. Bringing sandals to air out your feet when you get back to camp and when showering or lounging will also be a good idea. Ensure they have ‘closed toes’ in case of thorns. Warm Jacket – At any time of the year that you’re travelling, the early morning and night can be cool to very cold so it is best to be ready with a jacket to warm you up. Water Proof – A thin waterproof outer shell is essential in case you need to cover yourself from sudden rain or when the wind gets up. Bring some gloves and a beanie hat from June – September too while you’re at it! If you want to learn more about wildlife and travelling to Africa, send us a message today. We’ll tell you all about how you can plan your adventure!